The battle of Brunanburh in 937 was a victory for the English king Athelstan over an alliance of Vikings, Scots and Strathclyde Britons. Despite being one of the most important battles of the Dark Ages, its location is unknown. Various places have been suggested as candidates, some more forcefully than others, but none have found universal acceptance. One candidate is Bromborough on the Wirral peninsula in Cheshire. To many people this is the leading contender, but its case is far from watertight. The main weakness can be summed up in a three-part question relating to geography and military logistics: why would the Scots and Strathclyders choose to fight on such a distant battlefield, how would they get to Cheshire and how would they get home after being defeated? Until a few years ago, I gave my tentative support to a Wirral location, having initially been attracted by the place-name argument: early forms of the name ‘Bromborough’, such as Bruneburgh, do indeed look like plausible antecedents of Brunanburh (the name mentioned in a contemporary Anglo-Saxon poem). Also, as a native of Cheshire, I probably liked the idea of my county being the scene of an iconic Dark Age battle, even if Bromborough seems a very long way from the Clydesdale and Perthshire heartlands of two of the main protagonists. 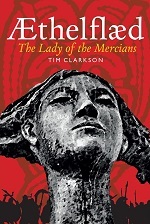 In the tenth century, what would later become Cheshire lay on the north-west frontier of English Mercia, and the Mercian contingent in Athelstan’s army played a major role at Brunanburh. This frontier had received special attention from the Mercian ruler Aethelflaed (died 918) and her brother King Edward of Wessex (Athelstan’s father), both of whom had built fortresses along it as a defence against Viking raids. It wasn’t until late 2009, when I began writing my book The Men Of The North: the Britons of Southern Scotland, that I really became interested in the debate over the battle’s location. Having explored military logistics and other practical aspects of early medieval warfare in the 1990s (for a PhD thesis) I now wanted to give the same scrutiny to the Brunanburh campaign. I began by looking at the logistical issues from a northern perspective, through the eyes of the Scots and Strathclyde Britons. The latter, in particular, are frequently ignored in modern discussions of the battle – or regarded as an afterthought, a mere appendage to the Scottish army. Yet their participation raises important questions about where the battle was fought. Neither the Britons nor their Scottish neighbours were accustomed to waging war in the English midlands, yet the case for Bromborough asks us to imagine both of these northern powers invading Mercia in 937. 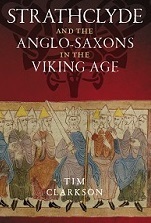 My current thoughts on all of this are set down in my new book Strathclyde and the Anglo-Saxons in the Viking Age where the Brunanburh campaign takes up a large part of the fifth chapter. In 2011, the argument in favour of a Wirral location was reiterated in The Battle of Brunanburh: a Casebook, a scholarly work edited by Michael Livingston. This substantial volume assembled the main medieval references to the battle (from the tenth century onwards), quoting relevant sections alongside modern English translations. Also included were a number of academic articles in which, among other topics, the thorny question of the battle’s geography was addressed. Since the map at the beginning of the book showed ‘Brunanburh’ (without a question mark) in the spot where we might have expected to find the name Bromborough, readers were given a hint of what was to come in the articles. Sure enough, although the wider geographical debate was mentioned, Bromborough’s candidacy was strongly emphasised. For me, this geographical bias was the only downside to what is otherwise a very useful book. Unsurprisingly, the bias has attracted criticism from readers and reviewers alike. So, although Brunanburh may indeed have lain near the western seaboard, within easy reach of Viking Dublin, a location on the Cheshire frontier seems doubtful when other logistical factors are taken into consideration. The Scots and Strathclyders could not have travelled there without many risks and difficulties. This is why I now prefer to look further north, beyond the Mercian frontier, to the river-valleys of Ribble and Lune and to the land that nestles between them. This entry was posted in Research, Warfare and tagged Athelstan, Brunanburh, Mercia, Vikings on February 16, 2015 by Tim. One of those puzzles which I love pondering, although I am no expert by any means. I feel as if the answer should be staring at us from a map somewhere! I have often thought Bromborough sounded very likely, but having read Neil McGuigan’s statement I can’t help but see the logic. Yes, it’s frustrating that such a famous battle can’t be fixed on a modern map. Despite all the efforts to find it, I really do think the site is lost for ever.